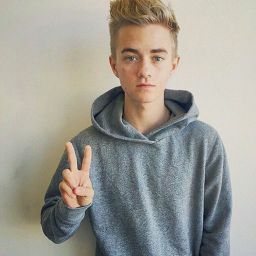 I was in Omaha for a week with my boyfriend Jack Johnson. We were both age 21 and we hadn&apos;t visited his family in a while. Him an I lived in LA for awhile. We weren&apos;t exactly married yet, but we were planning on it. I was getting sick lately an I missed my period and we all known what that means. I told jacks mom I was gonna run to our hotel because I forgot my inhaler. I went to the store grabbed some test went to the back of the store and went to the bathroom. They all came out positive, oh crap what was I gonna tell jack. I figured he probly would be mad or happy. But I honestly didn&apos;t know what to do, all girls don&apos;t know what to do in this situation. I went back to Jack&apos;s parents house. Him and his brother went to go to some go-karting place. I decided to tell his mom because she was a girl and she would probly understand. "Uhh so um I&apos;m uh pregnant"I said to his mom. "Oh really Emma, well have you told Jack"she said. "Uh no not yet I just found out like 15 minutes ago"I said. "I&apos;m so happy for you guys, but you know your gonna have to tell Jack"she said. "I know and I&apos;m kinda scared"I said. She looked down and continued cooking. Man was I nervous. I herd a knock and knew it was them. I told Jack that we needed to talk outside in private. 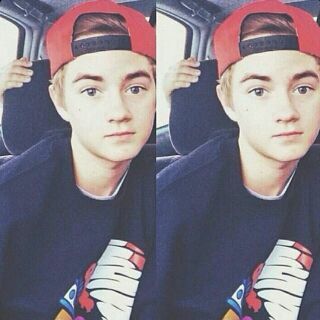 "Umm Jack umm I&apos;m umm kinda pregnant"I said. H looked shocked b just stood there I was heartbroken how can he just stand there and not say anything to me. I decided to leave, I grabbed my purse and left. He was standing there shocked still wasn&apos;t saying anything, he didnt even bother stopping me. I reached the hotel and started crying. I herd a knock on the door. I open it and surprise surprise its jack Johnson. "Emma just listen please"he said. I had nothing better to do so why not, I noded my head. "Emma I love you and having baby won&apos;t change that it will make us stronger. I didn&apos;t speak because I didn&apos;t known hat to sy I was so happy for us an our family&apos;s. Emma I love the thought of us being a family, and most of I have a thought of us before I even met you, I&apos;m sorry"he said. W hugged an I kissed him I was so happy in life right now.